1 internet radio stations free | This Blog Rules | Why go elsewhere? It seems that the world is going in circles. While classical radios played a DJ’s selection, music lovers discovered streaming services. Pandora Internet Radio is a main choice for U.S., Australian and New Zealand users. Unfortunately for the rest of the world, Pandora is a country dependent service, like other music streaming services such as Spotify. Even if actively discovering music is particularly rewarding, it can easily turn into a choir. Streaming services have some automated features, but listeners increasingly return to curated playlists. Now radio stations are online and most of them are listener-supported. We are going to focus on a couple of online stations with a hint of the old radio atmosphere. Check out 5 of the best free Internet radio stations! The San Francisco-based radio station offers more than 30 channels of carefully selected music. During the holiday season, four temporary stations take care of your Christmas mood. 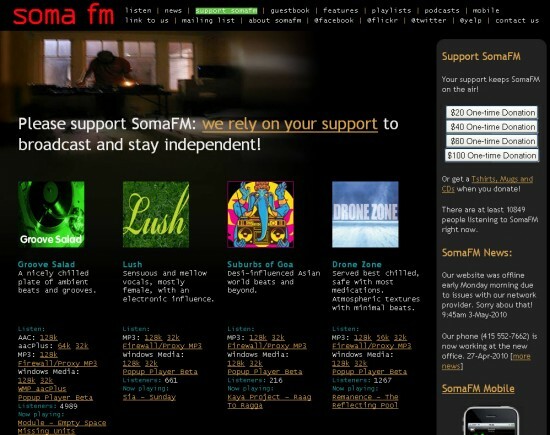 Although not a commercial radio station, SomaFM supports itself by selling the Android app and its iOS version, as well as through direct donations. SomaFM really manages to rise up to its presentation as an underground / alternative radio, as you’ll often find songs which are not featured on Youtube. Groove Salad offers downtempo grooves and beats, Secret Agent turns you into a 60’s spy. The list could go on, check it out at http://somafm.com. Paradise is Bill Goldsmith and his wife, Rebecca Goldsmith, who founded the online station back in 2000. Radio Paradise, named after the couple’s location, Paradise, California, is an “eclectic online rock radio”, although you’ll hear some electro and jazz from time to time. 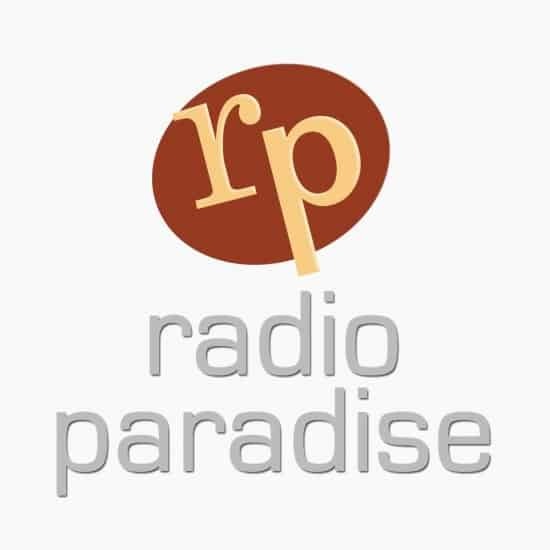 As a listener-supported station since its inception, Radio Paradise managed to survive for so long without any commercials. Check out one of the pioneers of online radio at http://www.radioparadise.com. The Seasttle-based radio station has quite a history. KEXP, what was then KCMU, is the first online radio to offer 128 kps 24/7 in 2000. 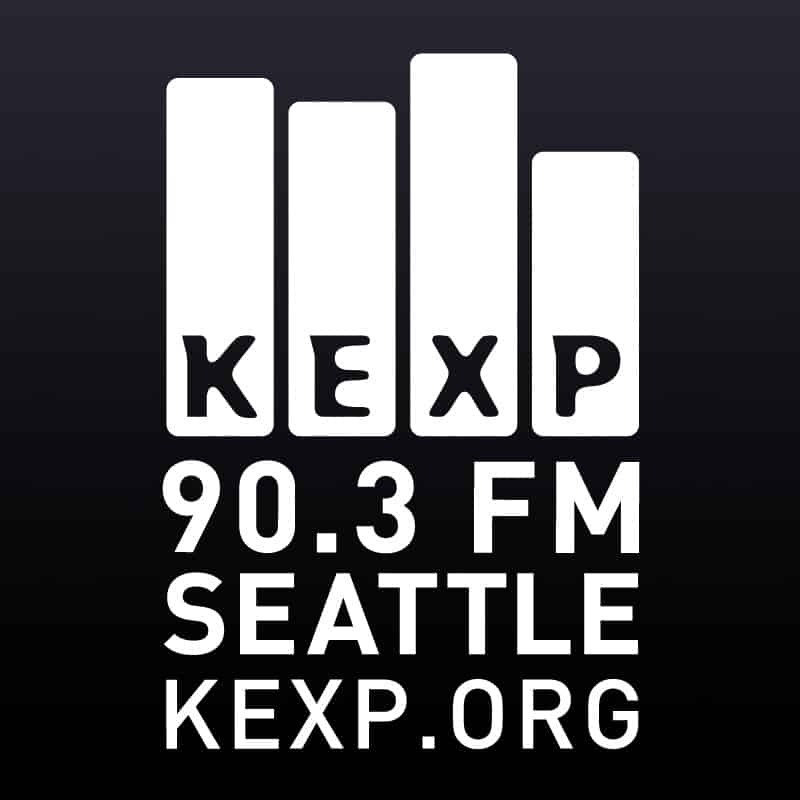 The station witnessed the upcoming of the local grunge scene (Soundgarden members even worked at KEXP). If you’re into indie and alternative rock, you’re probably already acquainted with the station’s rich Youtube channel. Numerous famous bands visit KEXP’s headquarters while in Seattle to play a few songs and answer some well-crafted questions. Check it out at http://www.kexp.org. 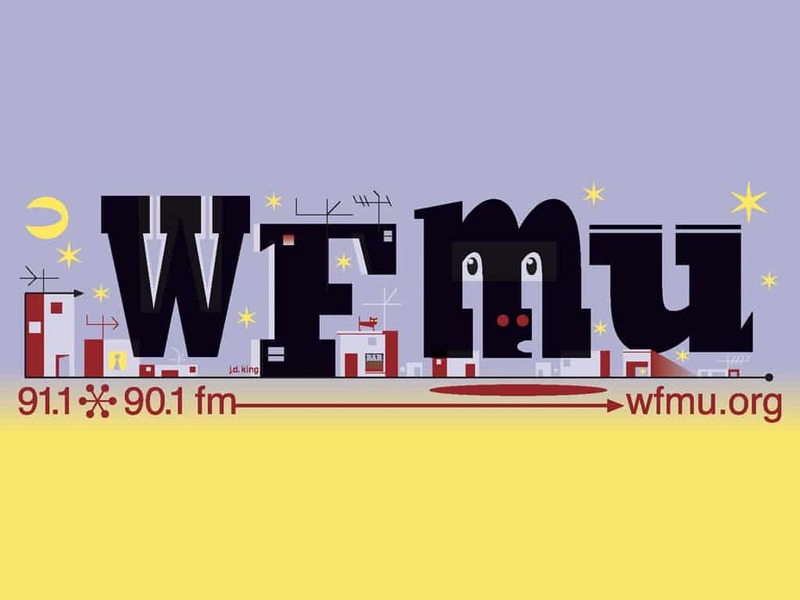 Doing justice to WFMU’s history in just a couple of lines is quite a challenge. The listener-supported station, named by the Rolling Stones the best radio station in the country several years in a row at the beginning of the 90s, is famous for its successful freeform radio format. Jersey City-based WFMU is more than just good music. Besides rock and roll, experimental, jazz and psychedelia, you’ll hear classic radio airchecks and cooking instructions. Enjoy it at http://wfmu.org. The guys from That Couch Funk Collective, a Bucharest, Romania-based group of DJs, decided to stream their favorite music in April 2013. 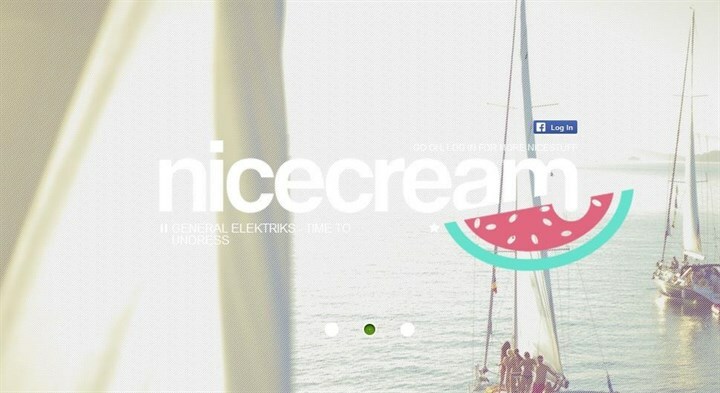 If you’re into reworked 70’s funk and soul, as well as other neighboring genres, check out Nicecream FM, where you’ll have “laidback grooves with a slice of panda funk”. No disturbing ads will affect your experience, although this is a free internet radio. Moreover, while listening to those groovy beats, including the smooth bossa nova, you can enjoy a trove of carefully selected retro-inspired photos on the background. Listen to it at http://nicecream.fm.